Hey guys! So I am a huge fan of prints!! Luckily for me, prints are super hot this year. I'm really short so finding the perfect print can be tricky. 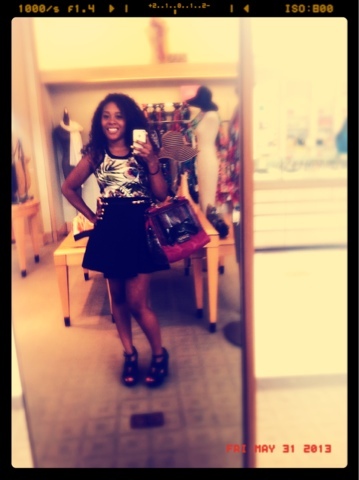 Since I started working at Saks, I've gained a lot of product knowledge. There's a great variety of luxury designers. I learned the different cuts of the designers and what designer works best for every body shape. It's been a lot to take in, but super exciting!!!! Happy Monday folks! While checking MHz daily sites, I ran across this beautiful picture of Pretty Little Liars star Shay Mitchell in Clover Canyon. She caught my eye because we have that same dress in Saks Fifth. I was trying to figure out the perfect shoe to pair with it. Her silver pumps are perfect! 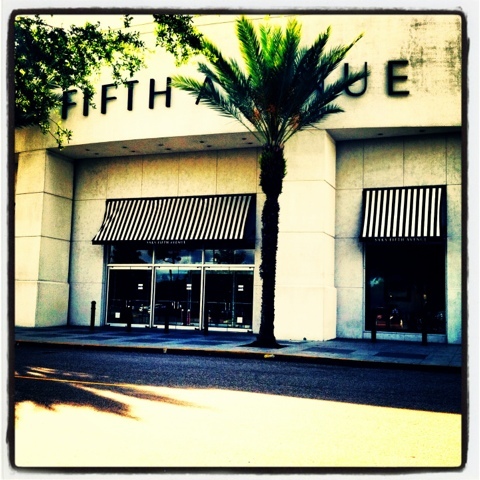 So I have been having so much fun with my new job at Saks FIfth Orlando! I spend my days styling different people and searching high and low for whatever it is they need.....Awesome!!! If you haven't already, check me out on Instagram. jay_pierce729. I post pix daily! !